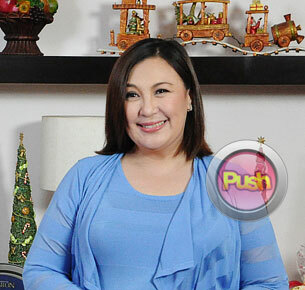 Sharon Cuneta admits she hated herself. Sharon Cuneta admitted that she was experiencing midlife crisis. In her Facebook account, the actress revealed that she hated herself and that she became rebellious. "I was going through a mid-life crisis, the effects of which I could never have foreseen. My reaction to it was awful; I became rebellious because I hated myself for the way I looked and the time I continued to waste by not focusing and working on bettering my own person. And each time I rebelled, often offending other people by being inconsiderate of their time and all else that I used to respect in and about them, I just felt worse and worse about myself. I was not "me," she posted. She also admitted that she did not know how to cope from it and eventually lost herself in the process. She said that she overworked herself, believing that it would ease her situation, but it just made it worse. "I hit mid-life and didn't know how to deal with it. I was lost. And then when I got used to it, I saw what had changed around me. And I didn't know what else to do then but what I knew best to do to cope with any bad situation in my life: WORK, NEVER STOPPING, WORK LIKE A ROBOT... It was okay when I loved what I was doing. It wasn't okay when I felt my ‘gifts’ weren't being used to the fullest, or correctly, or even at all. So this became a vicious cycle. Ignoring that I had gained so much weight and therefore had limited myself to certain movie roles when there was so much more I wanted to do... And forgetting that as I was doing all this, time was passing me by." Sharon became controversial on Twitter as she used to fight with her bashers. She said that she regrets it and that she should have chose her battles well. “I cannot apologize for the person I am. I am transparent. I cry when I'm sad, I laugh uncontrollably when I'm happy, I am frank and say what I think when any part of my person or property is violated. I was very matiisin for many, many years, and lots of people took advantage of that. So very many. So I learned to stand up for myself. Twitter was one of the few places that provoked me to show that side of me, but make no mistake about it—I am a fighter. I am not a doormat. And like every other human being, I deserve respect, especially because I know I am not a bad person. My mistake was I should've picked my battles like I always used to. I was shocked and unprepared, and so I was wrong to react the way I often did,” she stated. Sharon said that she feels like she is at the lowest point of her life and career right now. “Like I said, I have nothing to lose now... I am going through one of the lowest times of my life and career, and it is to a great extent by my own doing. But I also HAVE bumped into certain people who made this journey much more difficult, too. Nevertheless, I humble myself and still praise God for everything He has ever blessed me and my loved ones with. I thank God for people who love me, like you,” she said.